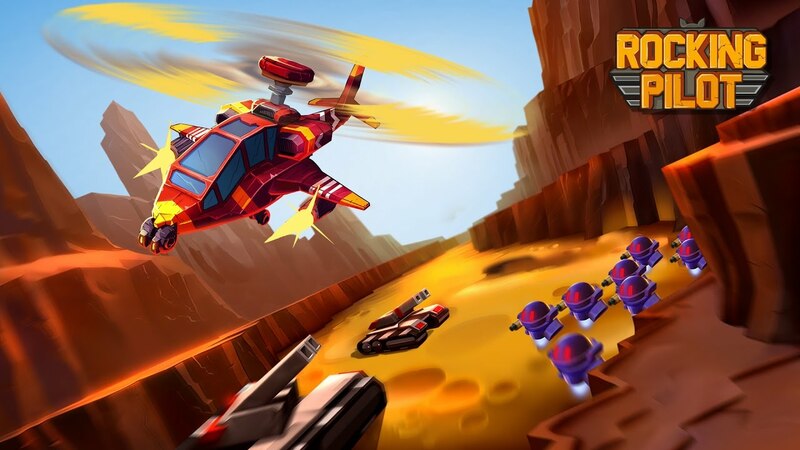 Addictive gameplay of old-school arcade favourites combined with retro sound and graphics make Rocking Pilot a fun bullet hell blast. Let the bullets and rotor blades rain down on your enemies! A modern take on arcade classics - crafted with care and love by fans of the twin-stick shooter genre. Smooth, slick and full of satisfying explosions. Dynamic battlefield - 42 missions, 4 worlds and a huge number of enemies! Play the story campaign, 16 score missions, and 4 survival challenges. A powerful arsenal, upgrades and ways to combine them! Use everything from lasers and mini-guns to nukes and rotor blades. Fight with two weapons simultaneously - shoot projectiles while slicing nearby foes with your rotor blades at the same time.